After various leaks, renders and speculations Xiaomi today finally launched its much-awaited Mi 9 in China. Xiaomi has also launched a smaller sibling of its Mi 9 device called Mi 9 SE and the Transparent Edition. Notably, Mi 9 is the Xiaomi’s first flagship of 2019. 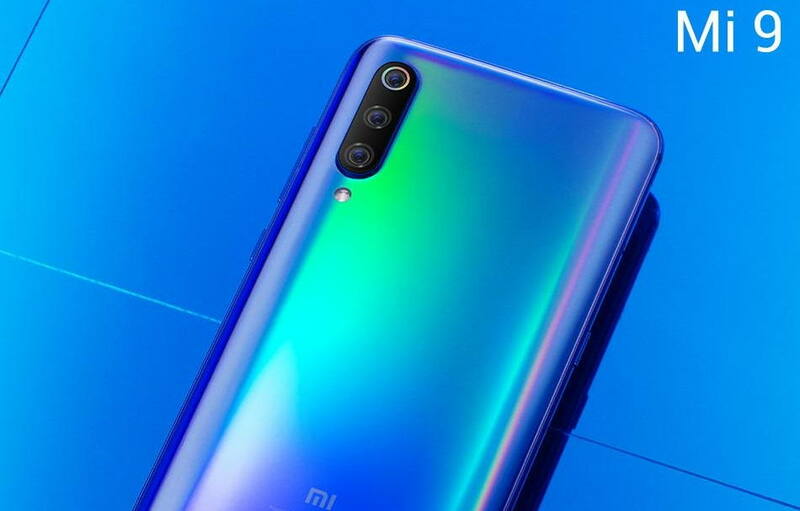 All the three Xiaomi devices including Mi 9, Mi 9 SE and Mi 9 Transparent Edition comes with a triple rear camera setup, out which one is a 48-megapixel shooter. Other key highlights of these devices include a water drop notch, triple rear camera setup, SD 855 SoC and 12GB RAM etc. Alongside the Mi 9, Xiaomi has also launched its first 10000 mAh Mi Wireless Power Bank, 20W Mi wireless Car charger and the 20W wireless charging pad. Now let’s have a look at the other specifications and the pricing of the Xiaomi Mi 9, Mi 9 SE, Mi 9 Transparent Edition and 10000 mAh Mi Wireless Power Bank. Starting with the Xiaomi Mi 9, the device comes with a 6.39-inch FHD+ AMOLED display with water drop notch. The Mi 9 packs a Snapdragon 855 SoC and comes in 6GB+128GB and 8GB+128GB RAM and storage options. On the camera side, the Mi 9 includes a main 48MP f/1.75 camera paired with a 16MP wide-angle lens and a 12MP telephoto shooter. Up front, there’s a 20MP camera with HDR. In a recent DxOMark camera test, the Mi 9 received an overall score of 107 which is better than the score of smartphones like Google Pixel 3 and the Galaxy Note 9. The Mi 9 comes with a 3300 mAh battery that also comes with 20W fast wireless charging support, which Xiaomi claims will fully charge the device in 60 minutes using fast charge and 90 minutes on the wireless charge. To charge all these devices Xiaomi has also launched 10000 mAh Mi Wireless Power Bank, 20W Mi wireless Car charger and the 20W wireless charging pad. All of these sells separately. All the three devices include NFC, Infrared, in-display fingerprint sensor, 20W fast charging, and 48-megapixel main camera. The Xiaomi Mi 9 with 6GB+128GB has been priced in China 2999 Yuan. While the Mi 9 with 8GB RAM and 128GB storage options has been priced at 3299 Yuan, around ($490). The Mi 9 will be available in violet, blue, and black color options. Now talking about the Mi 9 SE, the device is a smaller version of the Mi 9. However, the Mi 9 SE does lack on some parts of specs. The phone features a smaller 5.97-inch FHD+ AMOLED display. It is powered by a Snapdragon 710 chipset coupled with 6GB+64GB and 6GB+128GB RAM and storage options. On the camera side, the Mi 9 SE features a 48-megapixel main camera paired with an 8-megapixel telephoto lens and a 13-megapixel wide-angle lens. It also comes with a 20W fast charge, NFC, and in-display fingerprint sensor. The Mi 9 SE 6GB+64GB RAM and storage variant has been priced at 1999 Yuan. While the 6GB+128GB RAM and storage, options will cost 2299 Yuan. Lastly, we have the Mi 9 Transparent Edition. The device features all the similar specs as the regular Mi 9, but it does includes a different transparent back panel and comes with increased 12GB RAM couple with 256GB of internal storage and a larger. The Mi 9 Transparent Edition has been priced at 3999 Yuan for the 12GB RAM and 256GB storage.